From the city centre, take the A2 (Strand Road) signposted for Buncrana. Take the first exit at the Fort George Roundabout, continuing on the A2 (Buncrana Road). After approximately 0.3 miles turn left onto Pennyburn Industrial Estate at the traffic lights/Collon Bar. Then after approx. 0.2 miles turn left into Orchard Business Park. 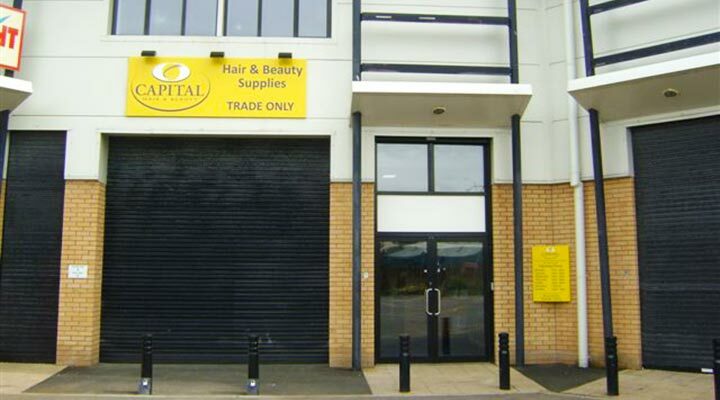 Drive into the car park and you'll see Capital Hair & Beauty on your left. Come and visit us at our store in Derry! Meet our friendly staff and choose from the largest range of hair and beauty supplies in the area!